Unhappy with the performance of his putter former NBA All-Star Charles Barkley applies some disciplinary action to it, during a Celebrity Pro-Am Golf Tournament at the Weston Country Club in Weston, Florida. 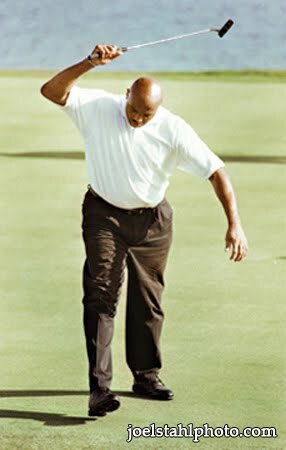 After chipping out of the bunker and rolling across the green and into another one on the other side. And then doing it again on his next shot, Boynton Beach High School’s team-golfer 16yr old Matt C. throws his iron onto the fairway in discuss and shouted, “I hate this game! 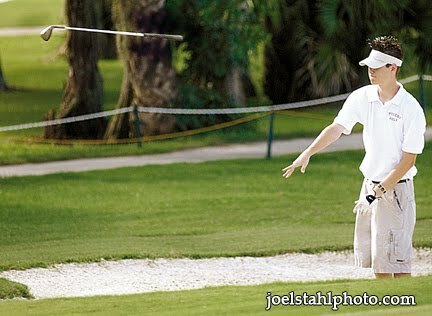 Why am I here?” It happened on the 4th green at the Boca Lago Country Club during their match play with Olympic Heights High School. 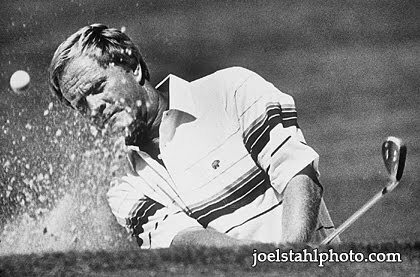 Legendary golfer Jack Nicklaus chips-out of a bunker next to the 4th whole’s green during 3rd round play of the PGA Seniors Championship at the PGA National’s Golf Course in Palm Beach Gardens, Florida. 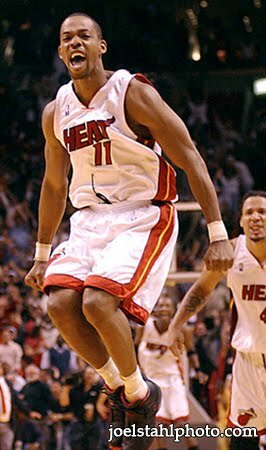 Miami Heat's Rafer Alston (11) celebrates his game winning basket beating the Dallas Mavericks in over time 119 to 118 Friday, March 26, 2004 in Miami. 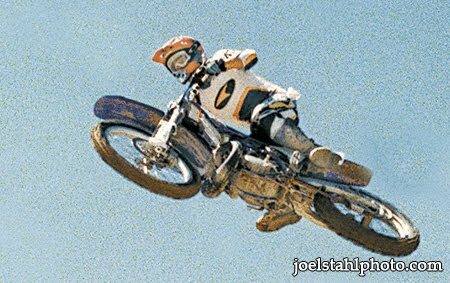 Motocross biker 27-yr old Rick Vaughn, flies about 27-ft, directly overhead as he’s jumping over a mogul hill during the 3rd-heat race. He went on to qualify for the finalist competition, which was run the next day. 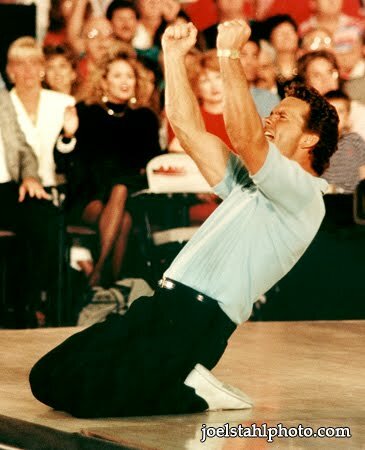 Pro bowler Brian Voss celebrates his winning the Homestead Florida Bowling Classic. Voss beat four straight opponents during the down to the wire round of games, where he advanced from seventh to first place and winning the tournament. 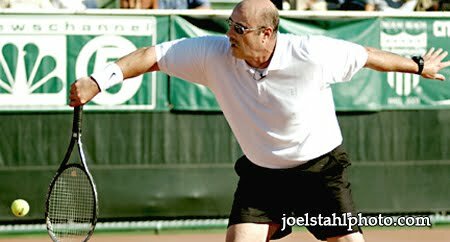 Mental Health Professional TV’s DR. Phil strikes a return-volley during his match in a celebrity charity tennis tournament in Boca Raton, Florida.